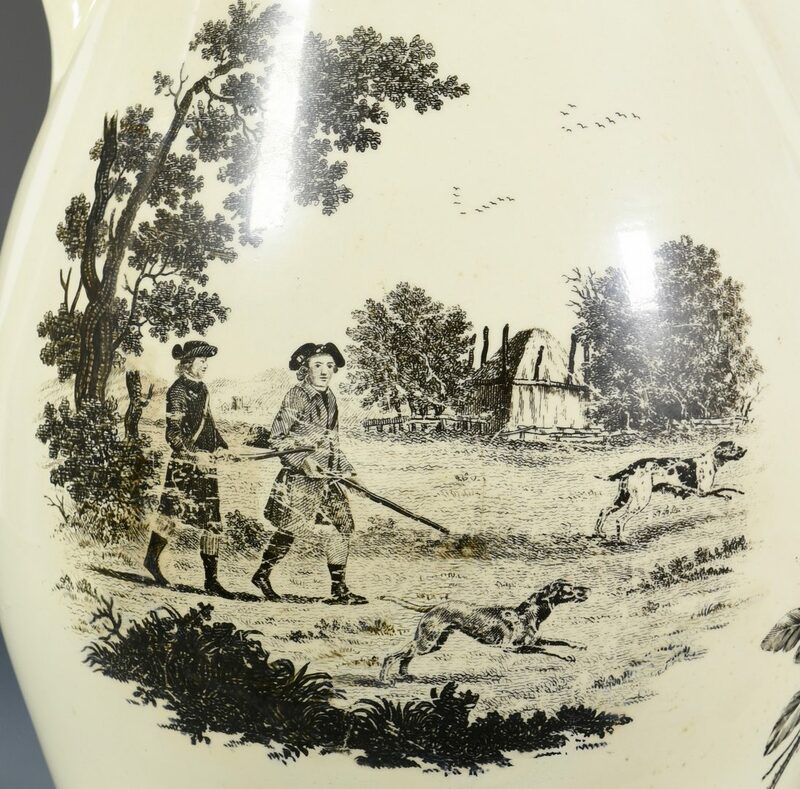 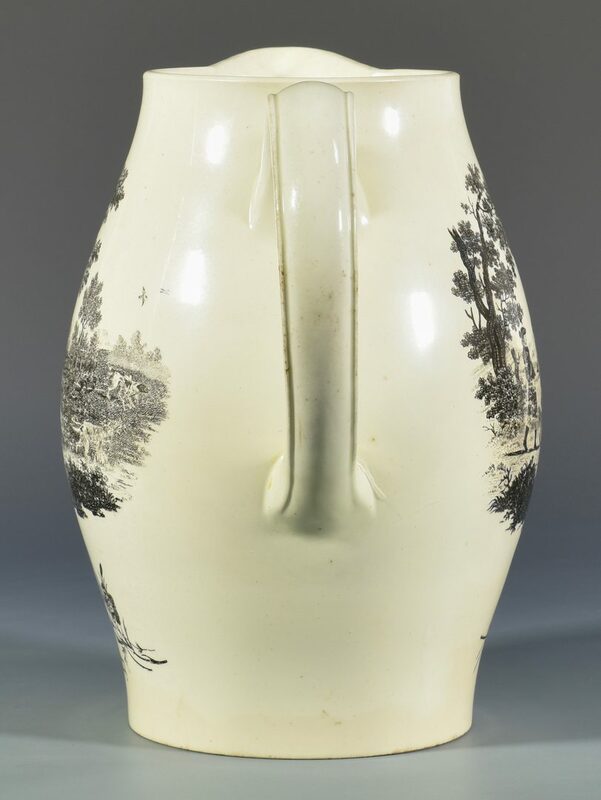 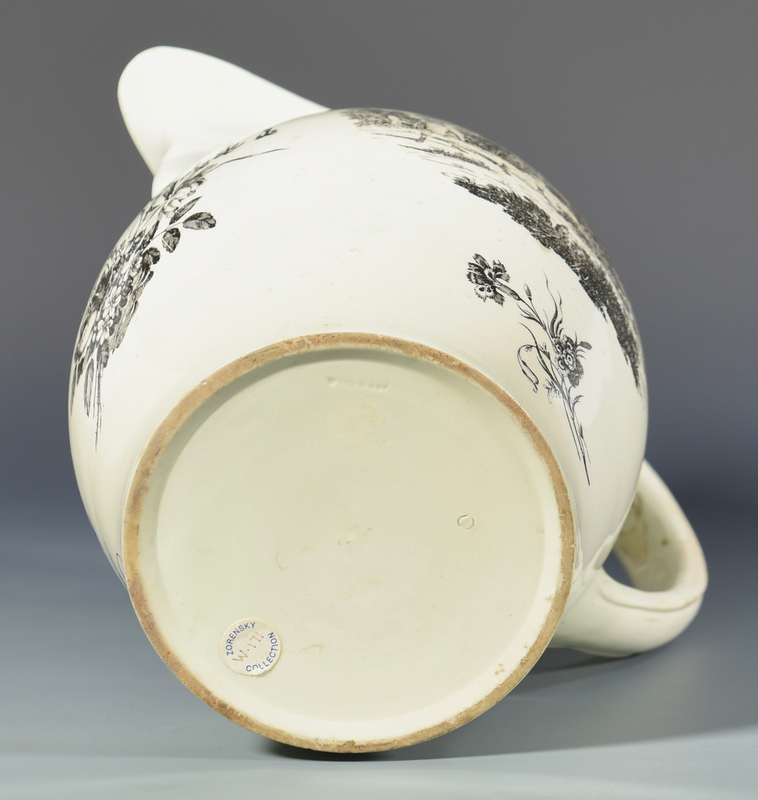 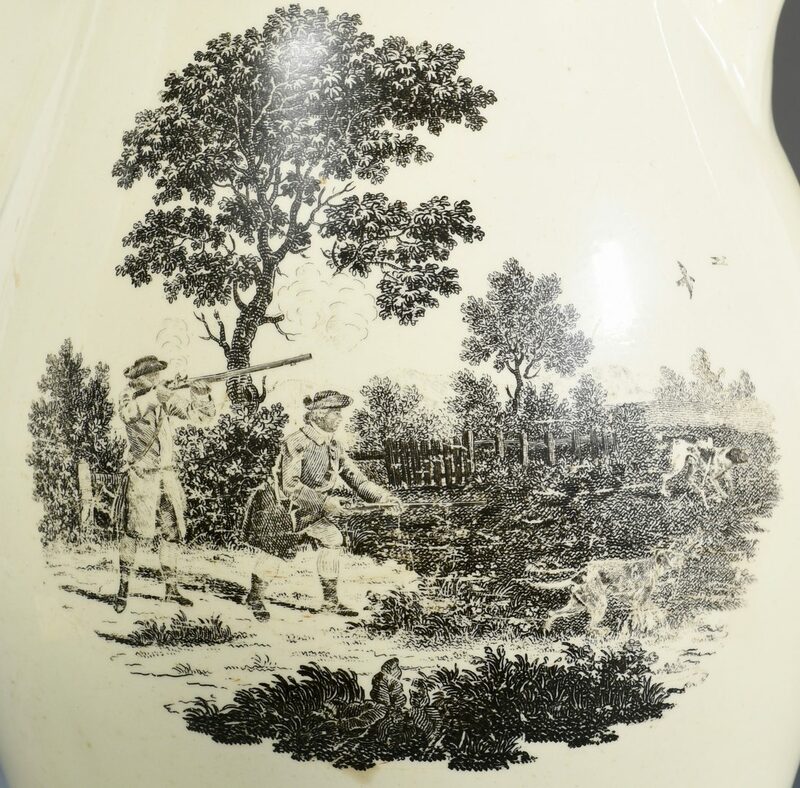 18th century Wedgwood pottery pitcher with transfer printed hunting scenes and a floral decoration. 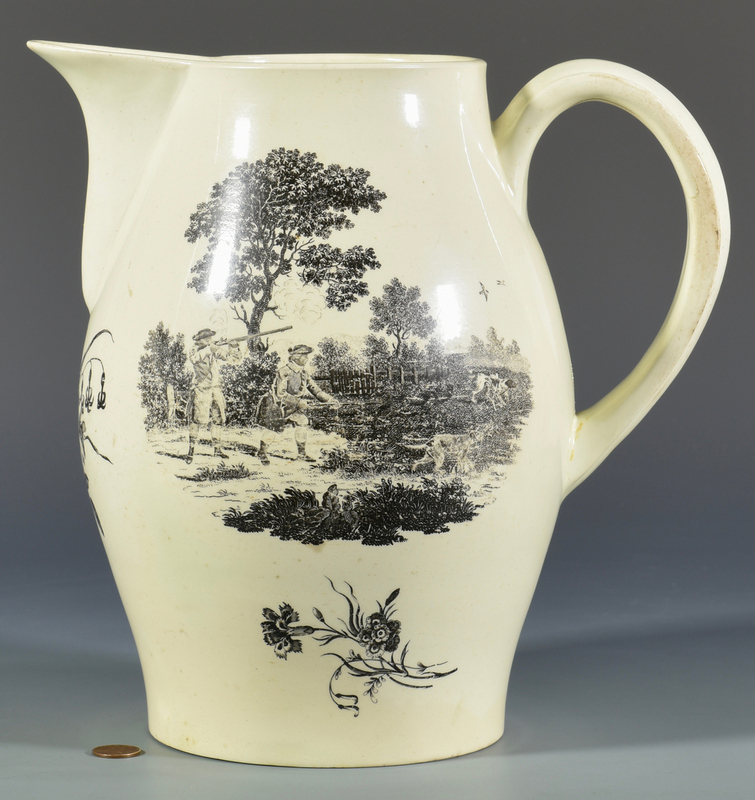 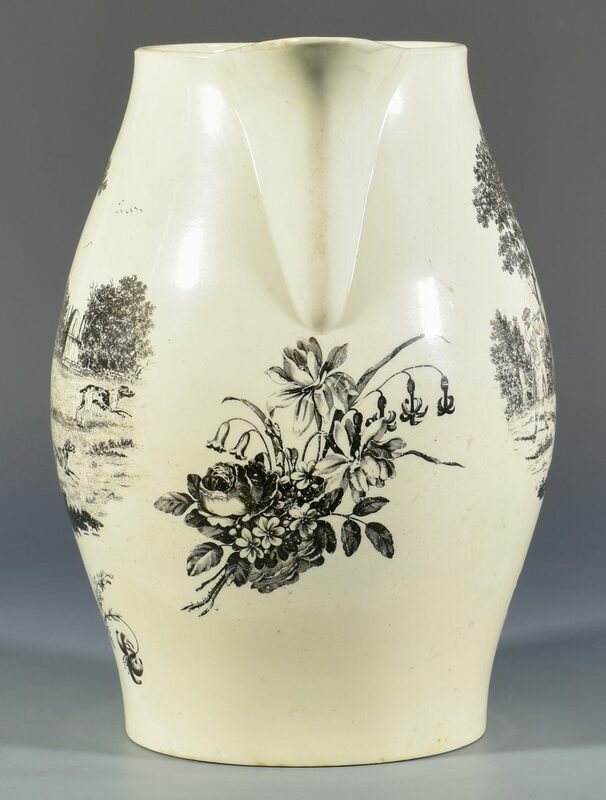 Impressed Wedgwood mark to the base, used from 1759 – 1769. 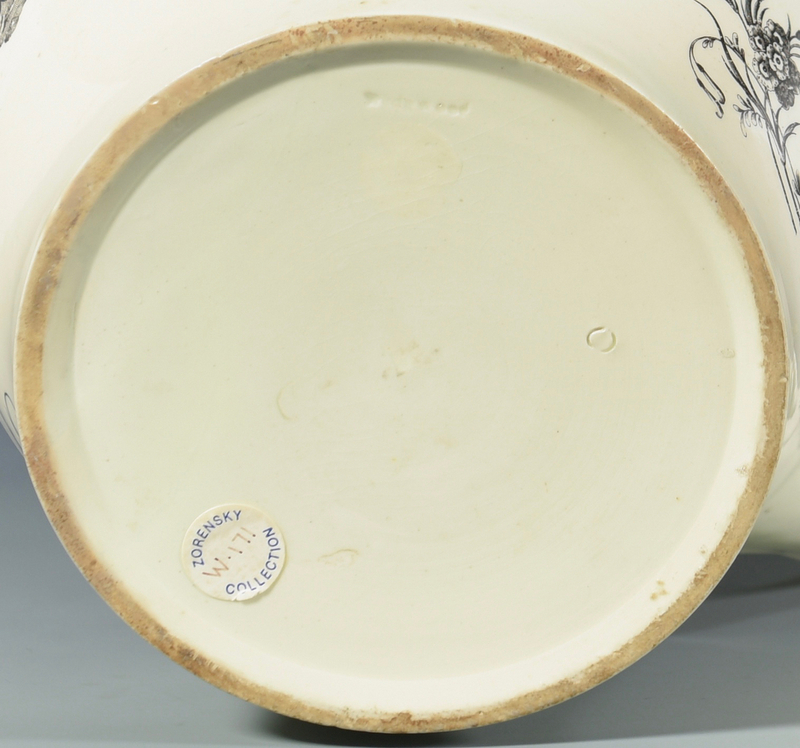 10 3/4" H. CONDITION: Some rubbing to one side of decoration. 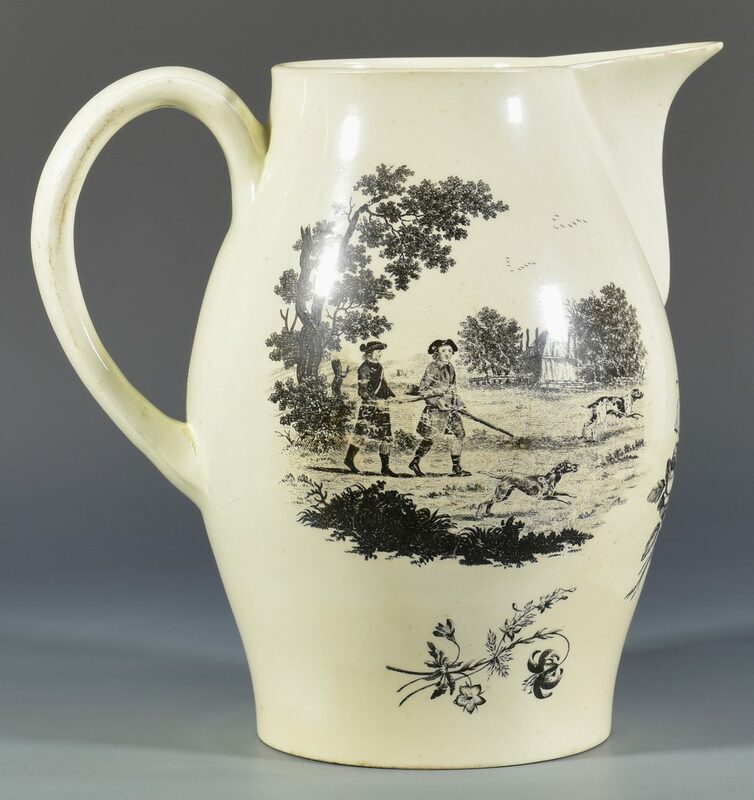 Tight spider to base of handle may indicate repair. 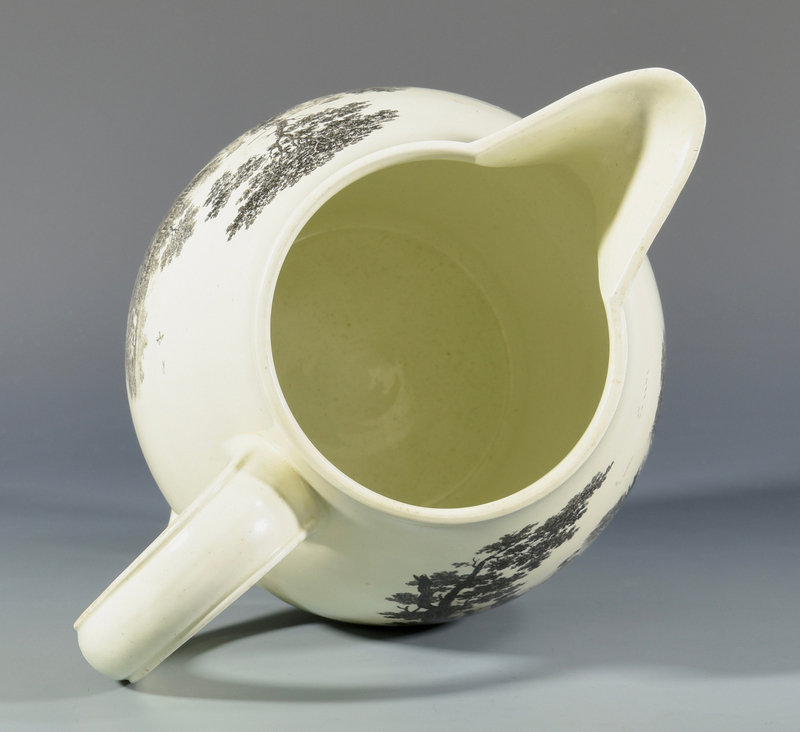 Minor rubbing to surface of handle.